Q. I was the victim of a hit and run accident, am I still able to file a claim? Yes. In many instances, your own insurance coverage provides for this type of situation. Allow us to help you review your insurance policy to see if you have Uninsured Motorist Coverage or Underinsured Motorist Coverage. If you have these types of coverage, we can pursue a claim for you. Q. I fell and got hurt but did not report the incident on the day it happened, is it too late to make a claim? No. While we strongly recommend that our clients report any fall immediately to the property manager/owner, failure to do so does not prevent you from pursuing a claim. Q. My husband was injured in a car accident and I have had to take off work to take care of him and our daily life has changed significantly. Is my husband the only one who can recover? No. If your spouse is injured in an accident, you have a claim to recover for both your time off work as well as the impact it has had on your relationship. Hough & Hough aggressively advocates on your behalf. Hough & Hough handles personal injury cases. 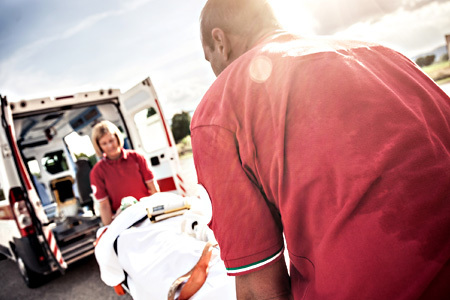 Personal injury cases can arise from a number of types of accidents. The most common type of personal injury case is an auto injury case. Despite the name, auto injury cases can involve a combination of players, including two cars; a car and a large commercial truck; a car and a motorcycle; a car and a bicycle; or a car and a pedestrian. In fact, auto injury cases often involve multiple vehicles of varying kinds. Hough & Hough is experienced handling auto injury cases involving all of the aforementioned. Hough & Hough also handles personal injury cases stemming from the trip and falls or slip and falls. These are just a few examples of the types of personal injury falls, Hough & Hough has successfully handled: a trip and fall caused by an uneven sidewalk; a trip and fall over an uncovered electric cord at a music or sporting event; a slip and fall caused by a substance on the floor of a mall; a slip and fall caused by a substance on the floor of a supermarket/store; and a slip and fall caused by a substance on the floor of a sports arena. Dog bites are another type of personal injury case Hough & Hough handles. California is known as a strict liability state when it comes to dog bites; meaning, the dog owner does not need to have a knowledge or prior notice of the fact that their dog is aggressive. If a dog bites you, the owner is responsible. While the causes of personal injury cases are vastly different, so too are the injuries that result. Hough & Hough has successfully handled accidents resulting in the following injuries: neck and back trauma, fractured bones, broken bones, implements, burns, severe facial bruising, disfigurement, and loss of limb. In some instances, the negligence of another party results in not just an injury, but in death. These types of cases are called wrongful death cases. Hough & Hough is experienced in handling these sensitive matters as well.Hough & Hough aggressively advocates on your behalf.Hough & Hough aggressively advocates on your behalf.Hough & Hough aggressively advocates on your behalf.